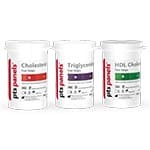 25 Cholesterol+Glucose test strips for CardioChek PA/Plus analyzers and are ideal for public health screening environments as well as personal use. This combination test cuts the screener`s testing time in half and requires only one drop of blood. 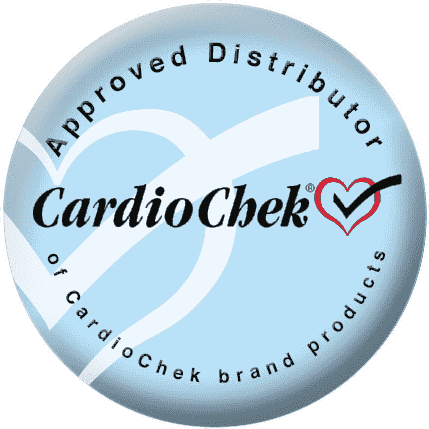 The CardioChek Cholesterol + Glucose test is the only test available that can give both TOTAL cholesterol and GLUCOSE values in less than 2 minutes from a single 30ul drop of whole blood in a CLIA-waived environment. Total cholesterol and Glucose are common blood tests performed in health and wellness screening programs for heart disease and diabetes. Hospital out-patient programs, screening firms, employers, community health programs and others frequently conduct these events, often on dozens or even hundreds of people per event. However, until now the only options for screeners have been to use a slow (5 or more minutes) CLIA-waived method to get both results from a single finger stick, or to test for both parameters separately. This would require using two analyzers or essentially taking two tests, resulting in more time used. 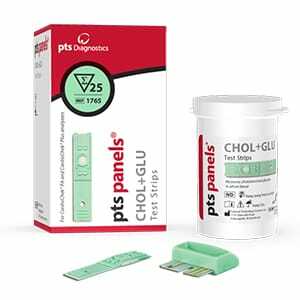 The new CHOL + GLU strip greatly simplifies and speeds the process, a great advantage in high volume screening events.